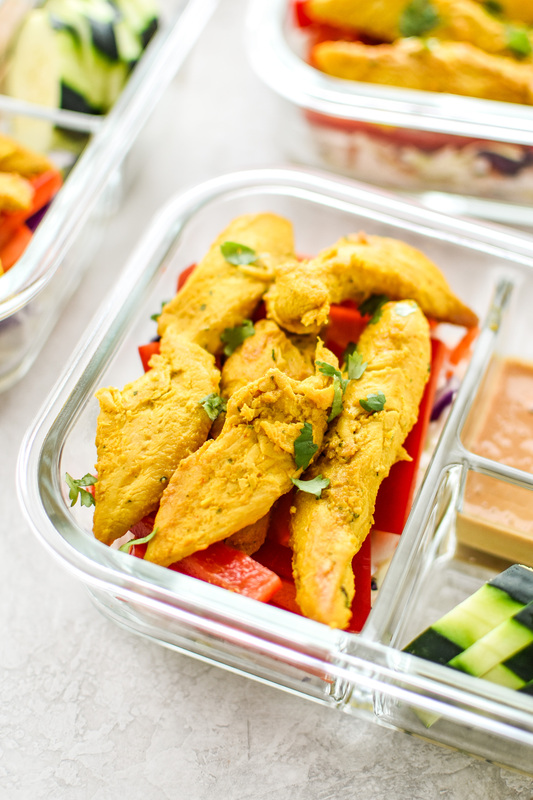 Delicious and colorful Meal Prep Satay Inspired Thai Chicken Salad Bowls are my new meal prep salad go-to! 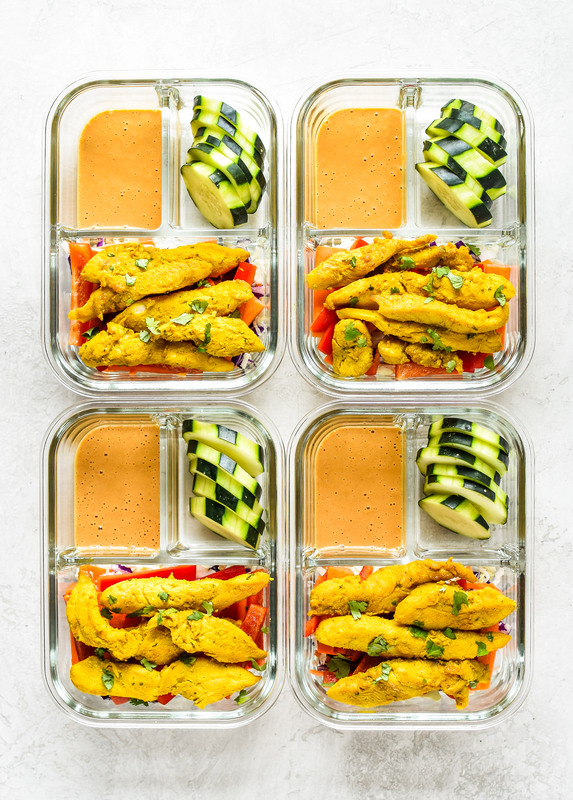 These bowls are easy to put together, packed with veggies, low-carb, and a great no-heat travel lunch option! Welcoming August with this colorful meal prep masterpiece! Chicken satay is one of those things I love, but just never make at home. Why? Two reasons: skewers, and the grill. Skewers: Do not get me wrong, I do love skewered food and appreciate its usefulness for grilling. I own wooden skewers and metal skewers (me proving to you that I do like and use skewers). Wooden skewers require soaking so you don’t get splinters in your food (takes even more time), and my metal skewers are way too long for any kind of meal prep action. Great for grilling, but threading chicken onto skewers is not how I want to spend my time. Grilled: Again, do not misunderstand me. I like grilled food! I’m just not a pro at operating the grill, nor do I want to heat up a bunch of coals only for some chicken skewers. We don’t really have a back patio, so our grill lives on the front porch which means you have to walk all the food through the living room and out the front door to get to the grill. Again, grilling is great, but sometimes I want a shortcut! 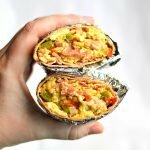 This meal prep recipe is the best of both worlds: flavorful easy to make food without the hassle of skewers or heating up the grill (if you don’t want to). It’s a bit different from other meal prep meals I’ve created, but I think that’s the best part. First we gotta talk about this marinade sauce. 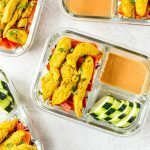 It’s inspired by the marinade from the Thai Chicken Satay Recipe from Serious Eats, but customized based on ingredients I like to use and have in my kitchen. Instead of using a fresh lemongrass stalk, I used the stir-in lemongrass paste from Gourmet Garden, which is what’s available at my grocery store (sold by the fresh herbs). They use organic lemongrass stalks, and the paste keeps for weeks in the fridge. Most of the time I’m down for fresh, non-packaged ingredients, but in this case, the stir in paste is both a time and money saver. Plus, I couldn’t even find lemongrass stalks at my grocery store (a required part of purchasing). So stir-in paste it is! 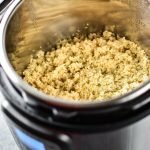 I used my Nutribullet High Speed Blender (affiliate link!) to blend everything up. 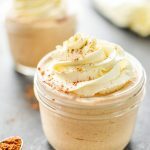 It’s SO easy and delicious that you’ll be shocked it didn’t come from a bottle! Same goes for this spicy peanut sauce on the side. 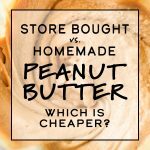 You don’t have to buy it at the store! You can make it at home! BONUS – tweak it for any special diet and make it your own. I used my Nutribullet to make the peanut sauce as well. Marinate the chicken for 45 minutes or so, then cook in a nonstick pan on the stove for 11-12 minutes (flipping halfway through). I cut up all my veggies while the chicken was cooking. 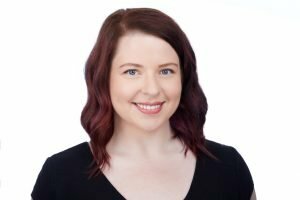 You can get a head of cabbage and shred it, or buy a mix from the store to save time (or reduce food waste – in my case I did not want an entire head of cabbage because I knew I wouldn’t be able to use it all). Let your chicken cool a bit after it’s done cooking, then assemble your bowls. I prefer to keep the dressing separate from the salad until the TOE (time of eating). I’ll put it in a different compartment, or a totally separate baby mason jar. Another idea I had after I made these bowls pictured – put your dressing into these silicone muffin tin liners, and place the liner with dressing into the meal prep compartment. Then come TOE, just pull the liner out of the compartment and pour on the dressing. Totally doing this next time!! Make ’em and store in the fridge for up to 4 days. Give the peanut sauce a quick stir just in case the oil has separated at all. 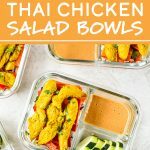 Delicious and colorful Meal Prep Satay Inspired Thai Chicken Salad Bowls are my new meal prep salad go-to! These bowls are easy to put together, low-carb, and a great no-heat travel lunch option! Add all marinade ingredients to a blender or food processor (I used a Nutribullet). Blend for 20-30 seconds until well blended with no large chunks of garlic or cilantro. To a large glass bowl or large Ziploc bag, add raw chicken strips, followed by the marinade mixture. Make sure all the chicken is covered with marinade. Seal the container and let it sit in the fridge for 45-60 minutes, stirring every 15 minutes or so to ensure the chicken is evenly marinated. Add all the peanut sauce ingredients to a blender or food processor (I use a Nutribullet). Blend until well mixed, 20-30 seconds. 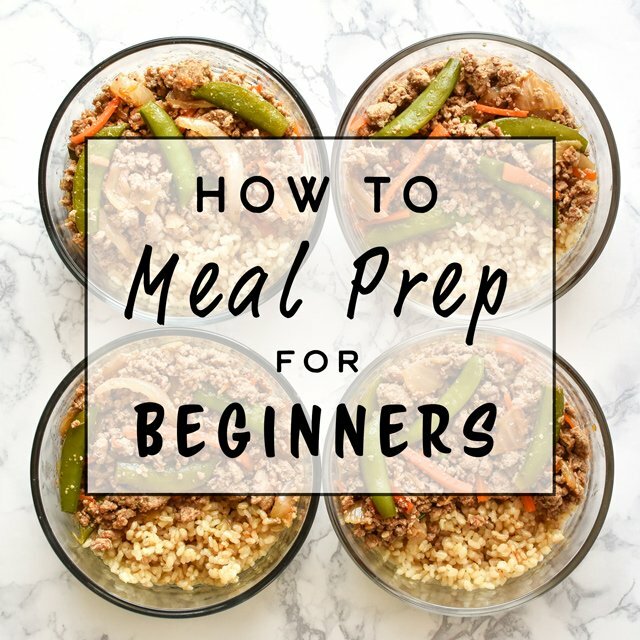 Set aside until you assemble your meal prep bowls. 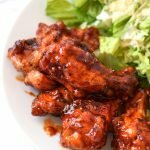 Remove the chicken in marinade from the fridge. Heat a nonstick pan over medium heat. 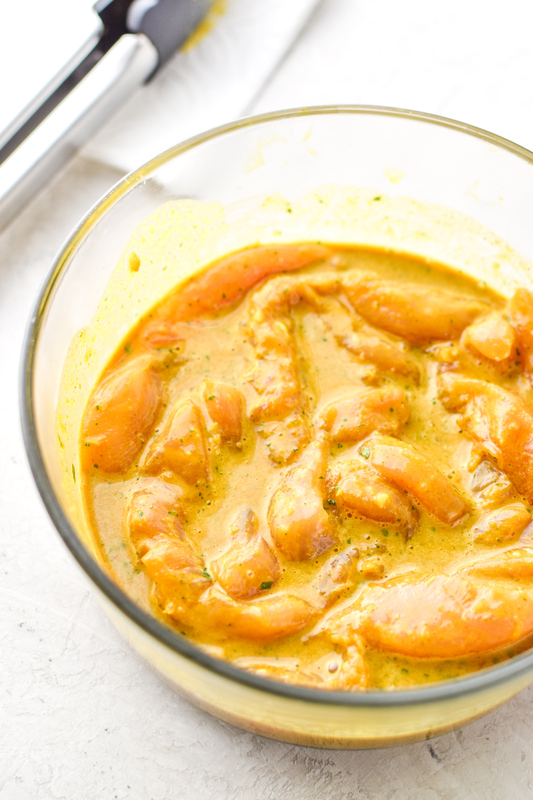 When hot, add strips of chicken to the pan in a single layer, letting marinade drip from the chicken into the marinade bowl before adding to the pan. Do not pour the entire bowl of marinade mixture into the pan. Cook chicken for 11-12 minutes total, flipping each strip halfway through cooking (I usually cut up my veggies while the chicken is cooking). When the chicken is done, let it cool while you assemble the rest of your meal prep bowls. Add a layer of shredded cabbage on the bottom of the bowl, followed by your bell peppers, carrots and cucumbers (cucumbers can go straight on the salad or in another compartment depending on what containers you’re using). Add an even amount of dressing to each meal prep container in a separate compartment, OR in a small mason jar or other container. Do not apply the dressing to the salad until you’re going to eat it. Divide chicken between meals, placing it on top of the salad. Sprinkle with cilantro (optional), and you’re done! Store in the fridge for up to 4 days. You may need to give the peanut sauce a quick stir if the oil has separated. 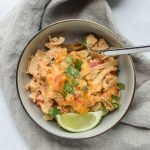 I use ButcherBox (affiliate link) organic free range chicken when I cook. 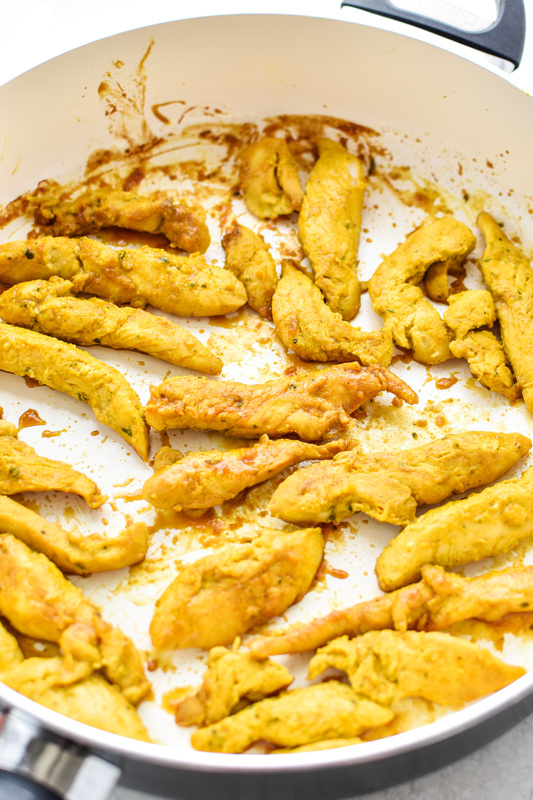 For this recipe, I used chicken tenders and cut each one in half lengthwise. For whole chicken breasts, cut lengthwise into strips. Butterfly thicker breasts if necessary and cut each half into 3-4 strips. 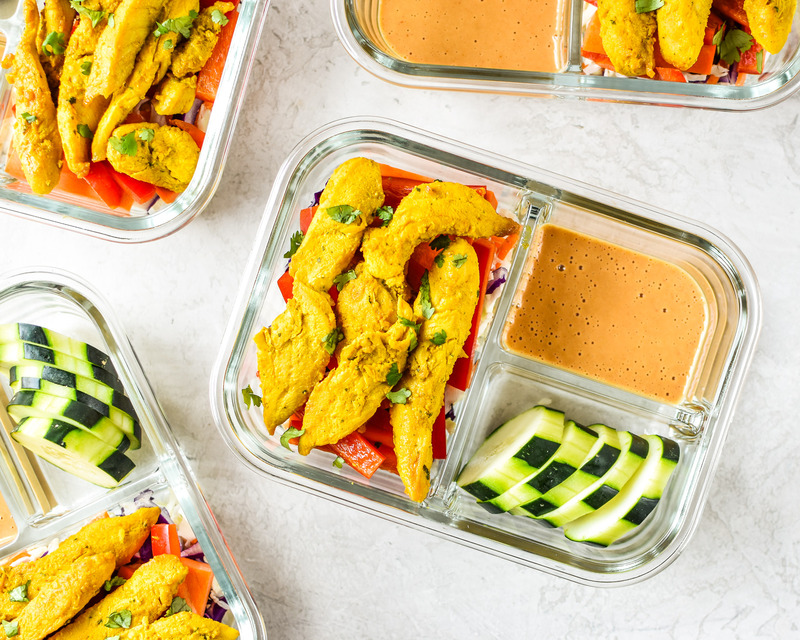 Thanks for checking out these Meal Prep Satay Inspired Thai Chicken Salad Bowls – I can’t stop thinking about how flavorful this chicken is! Please tag me or use #projectmealplan on social media to share!